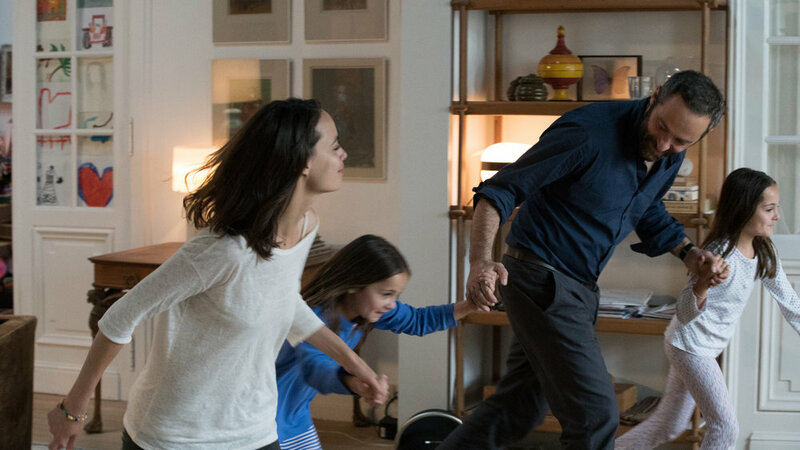 Exploring the devastating effects of a modern failing marriage, Joachim Lafosse’s After Love is a heartbreaking ode to separation. In a world where 50% of marriages end in divorce, separation, and its effects on the family unit, is an inevitable theme in 21st century film and pop culture. Western audiences are accustomed to OK Magazine extravaganzas and vacuous public discussion on “conscious uncoupling”. The death of love, in the context of divorce, is never truly expressed. In viewing After Love, audiences are rewarded for their time with a different experience. These 100 minutes present the stark emotions of the mundane amid the minefield of plausible life. Lafosse’s work has been flying under the commercial radar since Loving Without Reason broke into the mainstream and was longlisted for the Academy’s Best Foreign Language Film in 2012. Although Loving Without Reason failed to make the shortlist or profit at the box office, it is undoubtedly an artistic achievement. Many feared Lafosse would shy away from cinema following commercial defeat, questioning whether a touching director with a style firmly at home in Cannes should refashion for mass audiences. At first glance, After Love seems frankly boring. There are many scenes of elongated and uncomfortable silence. The plot is nothing new. A man and a woman have fallen out of love. Cue the divorce. It’s a subject even Lafosse has addressed before in Private Property. Thankfully, After Love is particular in its use of subject matter and symbolism. The screenplay, written by Lafosse, Mazarine Pingeot, Fanny Burdino and Thomas van Zuylen, is intricate. This divorce is not just separation but the division of wealth and the priceless. At the centre of their struggle is their home - owned by Marie yet renovated by her husband Boris throughout their partnership - and their children. The symbol of the house and household grounds 90% of the film. Scenes are claustrophobic with long unending shots moving throughout, yet never leaving, the grounds. A viewer, like the characters, cannot escape this metaphorical prison. Every scene eventually becomes visually suffocating. Passive aggressive kitchen exchanges and lonely bedroom sittings punctuate scenes of realistic dialogue of financial and family future. Lafosse and his team study how far the end of love can push the human psyche. It is utterly painful to watch. A strange Stockholm syndrome where the possibility of Marie and Boris rekindling their love is always boiling on the back burner. One of the most shocking scenes involves Marie and Boris passionately kissing in a manner that can only be describe as masochistic and inevitable in their situation. Anger and tension, for a moment relieved in human connection. This constant uncertainty and self-loathing action, however, invokes inevitable sadness for all. Children are involved and, typically of children in cinematic divorce, they just want Mum and Dad to stay together. At this point, Our Children and Private Property meet as the welfare of the children is put in jeopardy by the antagonistic focus of the parents. We spend the final scenes in a hospital, a taxi and finally, a divorce office. The film's cinematography is utterly irresistible. It smacks of high art, rewarding concentration and emotional attention. Lafosse’s rejection of Hollywood sheen and contrived serendipity reveals a messier side of humanity and our interpersonal relationships.The performances of Bérénice Bejo and Cédric Kahn are breathtaking and astounding in their carefully orchestrated silence and subtlety. Less proves to be more. No Coronation Street screaming matches present themselves. Their performances are surrounded in tension and utter despair. Lingering shots of pained faces expressions accompany hushed unseen movements. This pathos is only heightened by the astounding work of child actors Jade and Margaux Soentjens. Every word they speak feels unrehearsed and undocumented. They are utterly present, yet also manage to blend into the background; becoming part of the house and symbolic mise en scene. At one point Margaux and Jade are the entire focus. They dance together; the first and only moment of pure joy in the whole film. After Love shows that well funded, well directed and well acted films can still achieve an astounding sense of realism in the postmodern world. Lafosse does not reinvent the form nor break the mould of European cinema. Yet After Love with its candid restraint is, in its own right, a cinematic achievement.